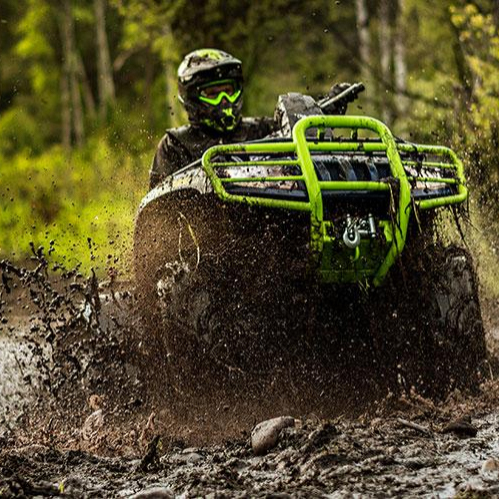 Textron ATVs and Side x Sides are known for their power, performance, and precision engineering. With standards like that they consistently bring you the best of the best! Built for the nations hardest workers to get the job done, giving the rush to the biggest adrenaline junkies, and made with a work ethic and a wild side for those that have an endless pursuit of adventure! We are a small operated business that gives each customer an individualized experience. No need to talk with half a dozen people to get the answer you are looking for! Stop in today and get all your answers about Textron ATVs and Side x Sides and find your wild side! 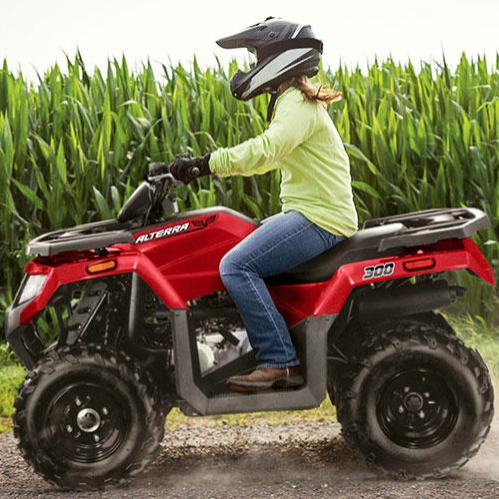 ATVs are generally built for one person and you straddle the seat like a motorcycle. 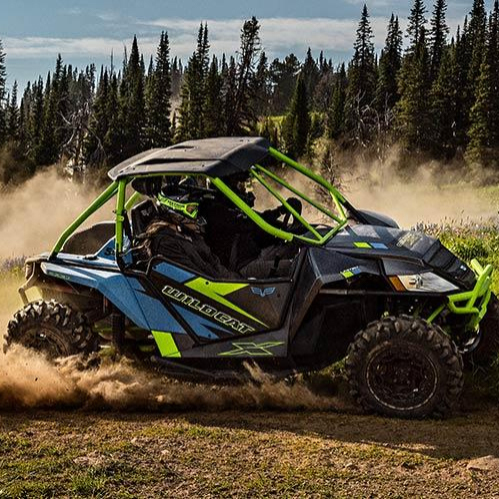 When you’re looking at Textron Off Road ATVs, you’ll be looking at models that come with a great combination of power and reliability. Sometimes, bigger is definitely better. The full-sized ATVs can come with 14-inch wheels and 11-inch ground clearance so there’ll be no obstacle that’ll stand in your way. The 300 lb capacity rear cargo box and 100 lb capacity front rack will give you all the space you need to store all your supplies and complete every task. Speaking of tasks, some people don’t want their ATVs for recreational use, but for hard work. That’s where the Textron Off Road utility ATVs come in. 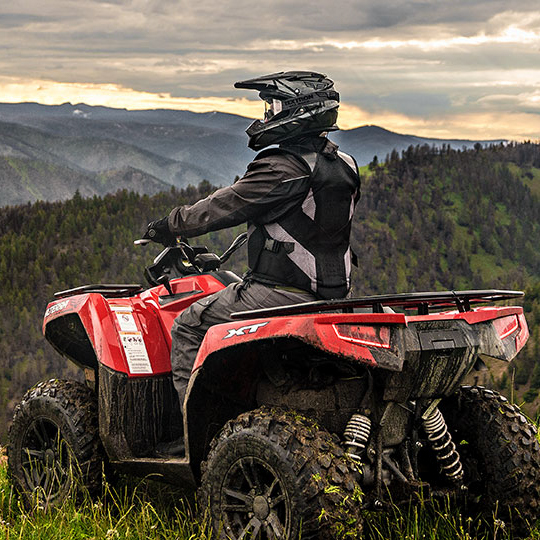 They come with more power and more features that are impact-resistant, so no matter how harrowing your project gets, your Textron Off Road ATV will handle it. UTVs look more like small, open vehicles, with a protective outer cage and side by side bench seating (hence their nickname, side by sides). Textron Off Road UTVs come with the endurance and labor power you’ll want to tackle just about any project. In the age of alternative energy, you might be interested in checking out some of the electric models from Textron Off Road. They’re quieter, more efficient, and still come with fantastic performance features. This includes full-time 4WD and 1,000 lb towing capacity. Throw in optional independent suspension and you’ll have a smooth riding experience. hile UTVs are often thought of as workhorses, there are lots of models made specifically for recreational use. 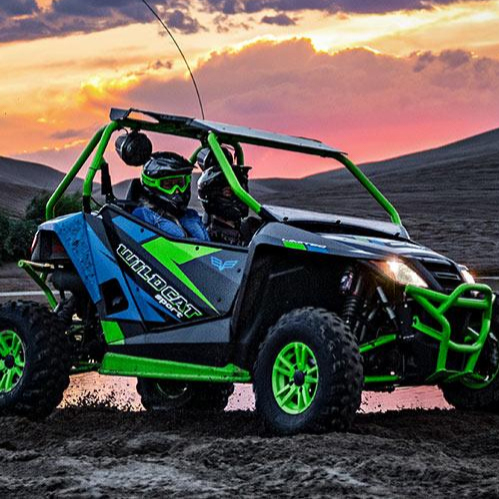 Textron Off Road offers a series of sport UTVs that come complete with tighter, better handling and a powerful engine to give you more speed. They also provide a high-strength steel frame to weather even the toughest trails and ask about how you can personalize your sport UTV. 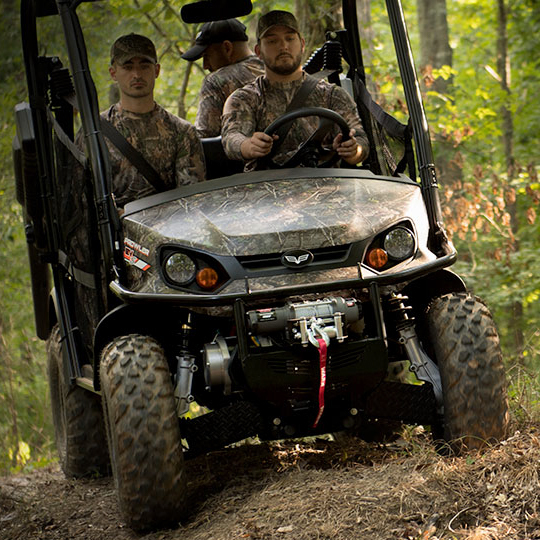 You’ll also want to turn to Textron Off Road UTVs when you’re looking for superior performance. These models come with top-of-the-line suspension systems, like the double A-Arm front suspension and 5-Link rear suspension, as well as powerful V-Twin engines that fuel your top speeds and toughest projects. Not to mention, thorough testing ensures that you’re only going to get the best that Textron Off Road has to offer.